Today I wanted to share some of the products that I would recommend, be it makeup or beauty products. Keep in mind what I like may not be what some people may like, so we are all open to our own opinions. Keep in mind this is everything I like, just some that had popped into my head. Please don’t hesitate to share your thoughts and experience or even recommend something you like. I’ve been out of practice when it comes to these sorts of posts now. I know my blogging style had changed drastically since I’ve started freelancing as a Professional Makeup Artist. I don’t even remember how to make blog posts like this one more efficient or effective to my blog followers. Heck! Let me know how I can improve, I feel like an absolutely newbie again trying to figure things out. 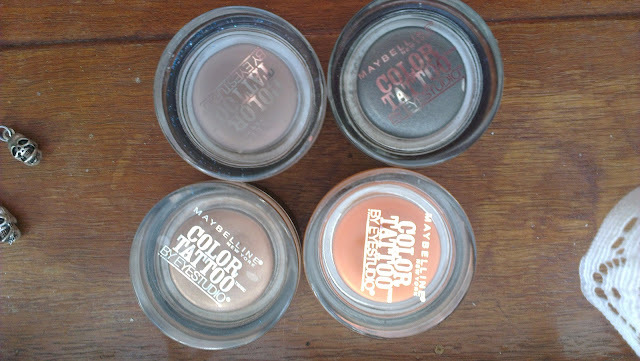 A cream base eyeshadow which is great for a quick wash of colour on the eyelid or what I normally use it for is as a base before powder eyeshadow is layered on top. For a product that is coming from a brand classified as “drugstore” I have to say I love it. It’s affordable and has a good range of colours. Beware it’s a little drier than most cream products so you need to work a little faster when applying. I have read other people not liking it as it dries out too fast etc. I personally don’t have that problem. I have four of which I love and would recommend as colours to get. 25 Bad to the Bronze – a great neutral bronze colour with shimmer. A perfect colour for those hectic, early morning makeup on the go colour. A nice wash of this on the eyelid and you’re ready to go. I also love using this one as a base colour for neutral/brown smokey eyes. 35 Tough as Taupe – A great neutral, matte, taupe colour that I am a major fan of when doing your light/brown/neutral eye makeup, I’ve only used this as a base. 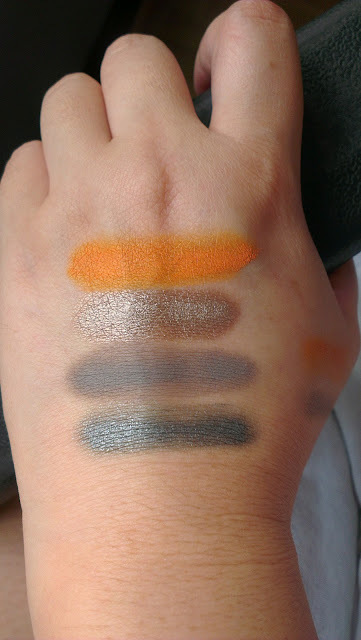 15 Audacious Asphalt – is a shimmer base grey/metallic colour that is great as a base for the subtle dark smokey eyes. 10 Fierce and Tangy – This one I got as a bonus, it’s bright and it’s orange and I LOVE my orange colours. It’s a beautiful tangerine sort of orange with a light shimmer. This is my favourite pop of colour, but too lazy to do anything complicated or drastic. Love your gel eyeliner but don’t want to spend a fortune getting a MAC or Bobbi Brown or even an Inglot? An affordable alternative would be the Mabelline one. It’s soft and creamy and easy to apply. I got my black and brown from Malaysia so I know there will be a different in the packaging as compared to last time when I had bought them in Australia. 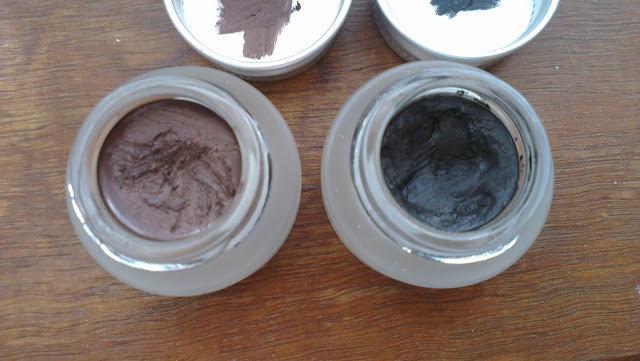 The 02 Brown from Malaysia has a shimmer to it, where the brown from Australia is a complete matte gel liner like the black one. I have yet to get my hands on the eggplant colour which is a deep purple/plum. It’s not available in Australia and seems to be popular in Malaysia. A very affordable eye primer. Very creamy and easily spreadable and blended so a great little product I’m glad I had found. It works and it does prevent/make your eye makeup last longer. I have to be honest it doesn’t work as well as using MAC Paintpot, Urban Decay Primer Potion or Too Faced Shadow Insurance, etc. However this is something worth buying if you’re on a budget for makeup or just don’t want to spend on the luxury brands while starting off. 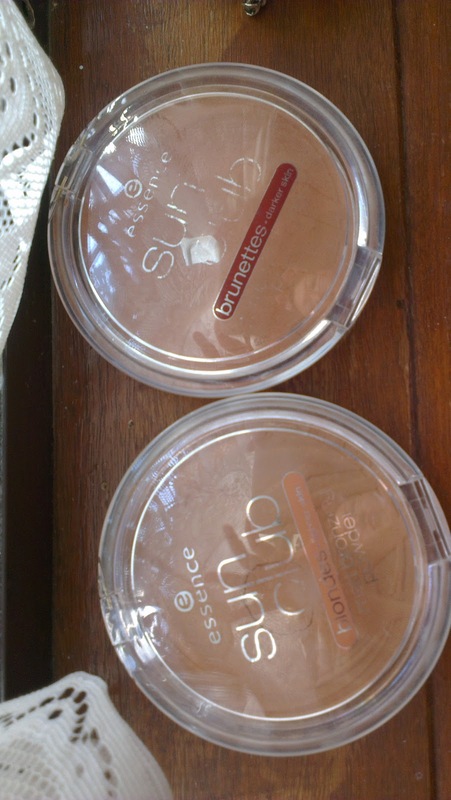 A great bronzer that is completely matte with no shimmer. 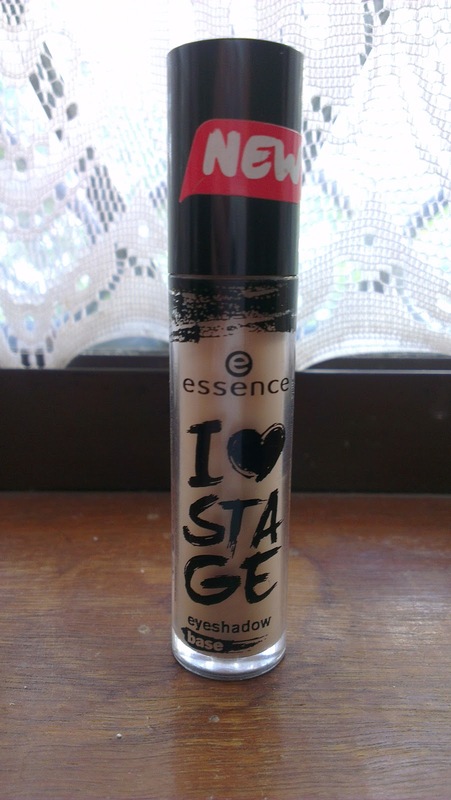 Blends well and is light and can be used for contouring too. It’s cheap and you get 15g of products in the compact. 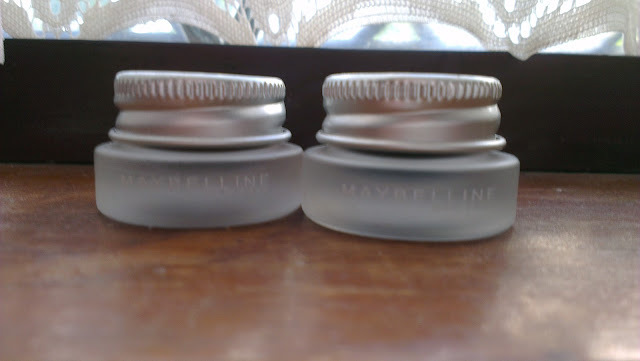 My all time favourite drugstore brand for lipsticks. A very good range of colours and a good amount of nudes to suit those who aren’t keen on the bright colours. They’re creamy and last well. They don’t bleed on me when I use them and it doesn’t dry my lips out either so that is definitely a bonus. For now these are all that I can think of to share with everyone one. Remember you don’t have to spend a fortune on all the luxury brands to get good makeup. You just need to shop around more and test to find what works best for you. Wishing everyone a Safe and Happy New Year 2013! May it be another awesome year ahead! ohhh love this! definitely going to try out some of your recs hon!! especially the rimmel lipsticks i've never tried their lipsticks before :) wishing you a happy, safe and blessed new years :)! 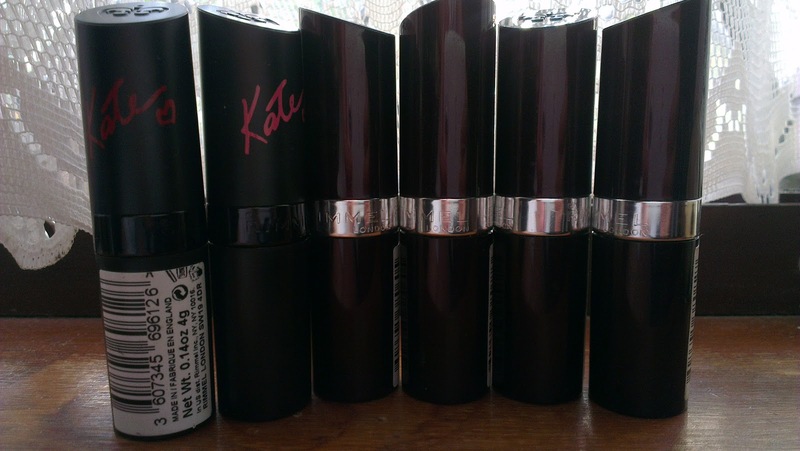 the lipsticks are worth trying! Cheap too. Most of my personal lipsticks are Rimmel. Wishing you a blessed year full of awesomeness! Bad to the Bronze is a great shade~!